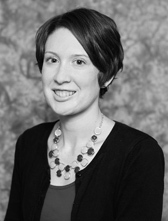 Stephanie Madden is currently an Assistant Professor at Penn State. Prior to this, she served as a researcher and project coordinator for the Training in Risk and Crisis Communication (TRACC) program. She coordinated all portions of the project and conducted in-depth research into risk communication training programs in an effort to develop more effective risk communication trainings for local leaders. Before working at START, Madden completed her M.A. in communication from the University of Maryland where her work focused on how organizations use new media to recruit and engage members in advocacy work. She also holds a B.A. in communication studies from Vanderbilt University.